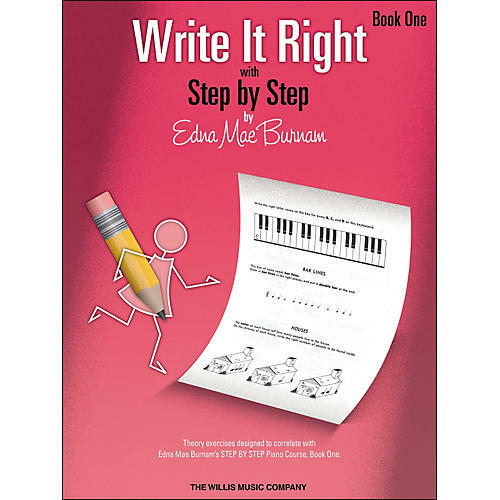 The Edna Mae Burnam Write It Right series is a valuable aid in creating well-rounded young musicians. The delightful lessons and exercises are designed to perfectly correlate with those in Burnam's popular Step by Step series, with specific page numbers linking lessons between the two so that concepts can be reinforced. Through the written exercises the student is able to better assimilate concepts learned in the piano lesson, and the teacher better able to gauge how much a student truly understands those concepts. Endearing classic illustrations add to the appeal of this time-tested series.